Recently the lock of my mailbox fell into my hands (yes, it is junk but the mailbox is temporary). Now to your regular Joe out there this is usually an inconvenience but I was happy about it because now I could study the lock and try to understand what the good people of Toool where demonstrating at HAR2009. First we have a look at the lock how it fell into my hands. 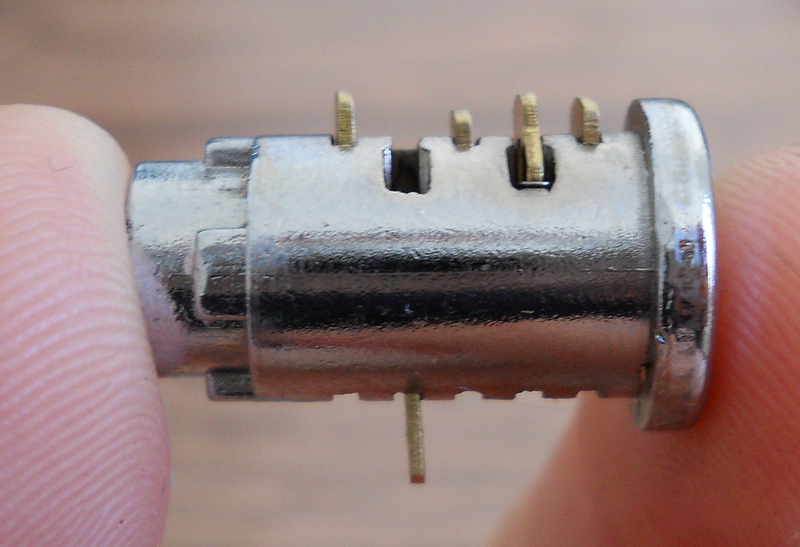 If we take out the pins, we see the little, tiny, springs that give the resistance when you put your key into the lock. 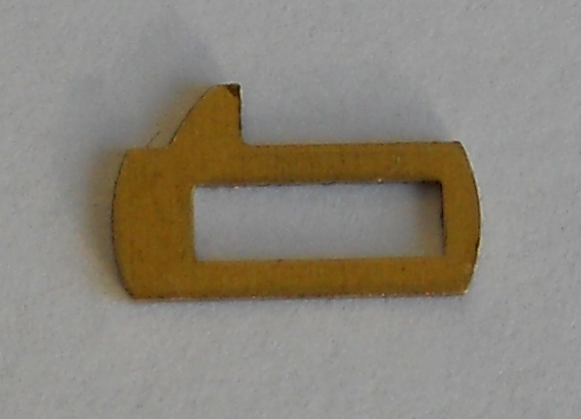 This is a detail of a pin. 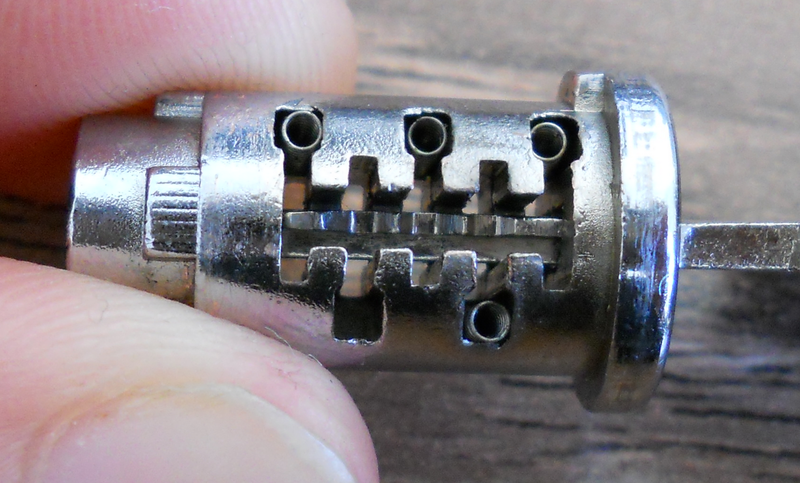 The key goes through the little hole. 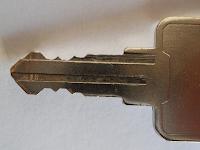 If we have a look at the key we notice the pointy and flat parts. If we put the key into the lock we see that the pins move into their positions. 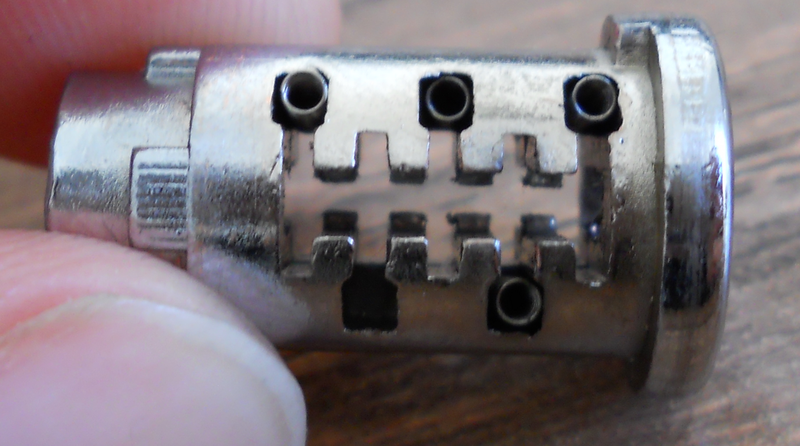 The pins move up and down when the key goes trough it. 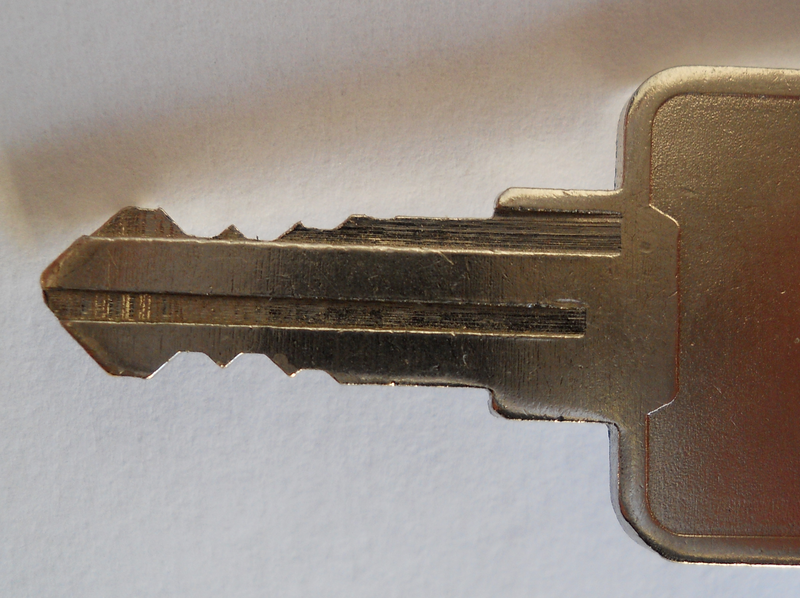 If you have a good look you will recognise the flat parts of the key. They are exactly positioned where the pins are. The picking is done with fine picks you slide into the lock and put gentle pressure on the pins so that they line up. It is easier said than done but it is fun to see a lock pop open without a key and not damaging it ... do you have a mailbox?